Air pollution is a huge global environmental health issue, as recognised by the World Health Organisation. The air quality in Scotland is generally very good, however in our cities we have ‘hotspots’ that regularly exceed national and EU limits for air pollution. These limits are set because of the harmful impacts on human and environmental health. 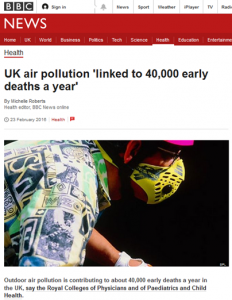 During my traineeship their has been a barrage of reports on Air pollution including the latest report by the Royal Colleges of Physicians and of Paediatrics and Child Health – which highlights outdoor air pollution contributing to about 40,000 early deaths a year in the UK. Research has shown that here in Scotland air pollution causes approximately 2,000 attributable deaths (NHS: Health Protection Scotland A briefing paper 2014). Unlike air pollution of the past which was hard to ignore, because it was smelly and visible as smog, today air pollution is almost invisible. This means we often forget about it. We can overlook the negative impacts it has on our health and the health of the environment. 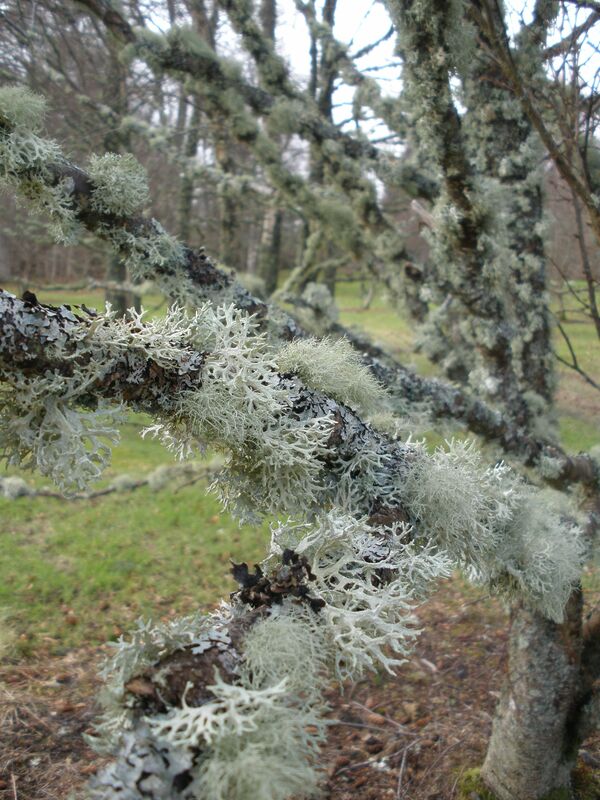 ‘Bushy’ lichens are very sensitive to air pollution and are therefore a sign of good air quality. 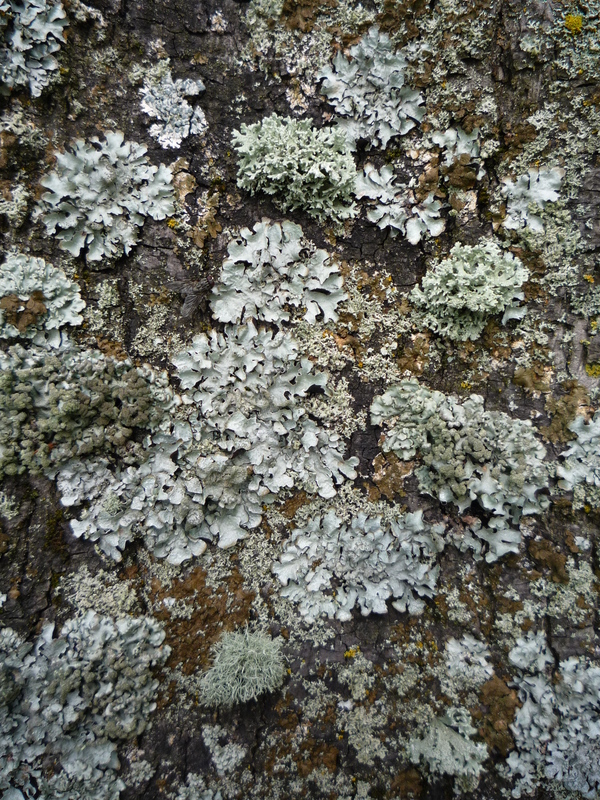 Lots of different species of lichen can also be an indicator of good air quality. Lichens are extraordinary organisms. Un-noticed by many people, they colonize trees (and many other surfaces) in urban areas. Most lichens are very sensitive to air pollution (because they absorb everything they need to live and grow directly from the atmosphere and have no mechanism to control and filter out harmful toxins found within the atmosphere) and can therefore be used as indicators for environmental health and local air quality. Lichens can make invisible air pollution visible. 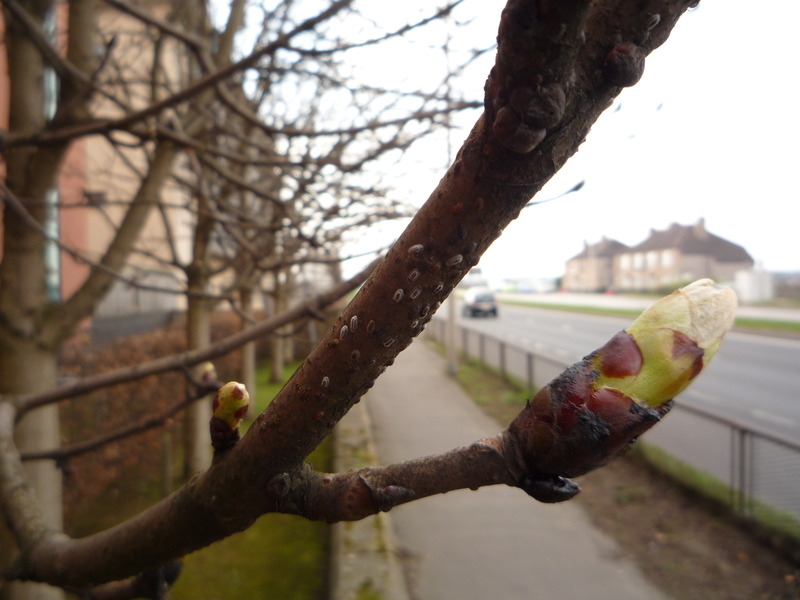 In clean air environments trees will be covered in lichens, not bare like this one next to a busy road. 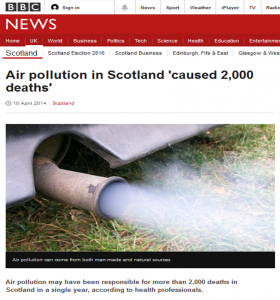 Want to find out about the air quality in your local area? 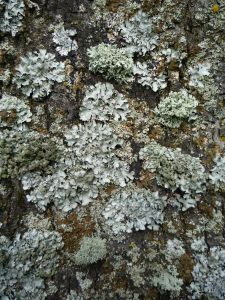 Try out lichen air quality survey.